Privacy Notice : PepperTraders.com, West Texas Pepper Traders, Inc. This privacy statement discloses the privacy practices for West Texas Pepper Traders, Inc. and PepperTraders.com. 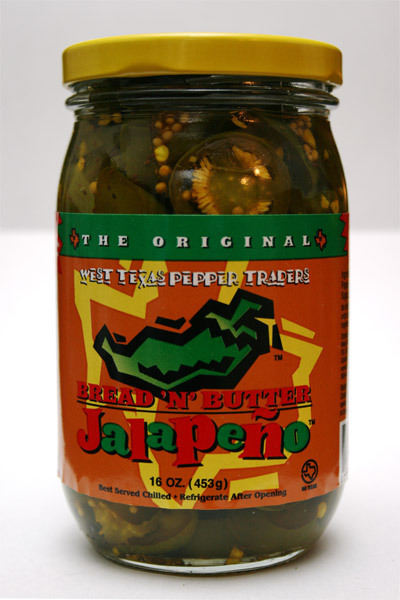 West Texas Pepper Traders, Inc. is the sole owner of the information collected on this site. We will not sell, share, or rent this information to others in ways different from what is disclosed in this statement. West Texas Pepper Traders, Inc. collects information from our users at several different points on our website. In order to participate in the advanced functions of this website, a user must first complete the registration form. During registration a user is required to give their contact information (such as name and email address). This information is used to contact the user about the services on our site for which they have expressed interest. A cookie is a piece of data stored on the user’s hard drive containing information about the user. Usage of a cookie is in no way linked to any personally identifiable information while on our site. Once the user closes their browser, the cookie simply terminates. For instance, by setting a cookie on our site, the user would not have to log in a password more than once, thereby saving time while on our site. If a user rejects the cookie, they may still use our site. The only drawback to this is that the user will be limited in some areas of our site. For example, the user will not be able to submit recipes or participate in polls, contests or monthly drawings that take place. This web site contains links to other sites. Please be aware that we, West Texas Pepper Traders, Inc. are not responsible for the privacy practices of such other sites. We encourage our users to be aware when they leave our site and to read the privacy statements of each and every web site that collects personally identifiable information. This privacy statement applies solely to information collected by this Web site. When our registration/order form asks users to enter sensitive information (such as credit card number and/or social security number), that information is encrypted and is protected with the best encryption software in the industry - SSL. While on a secure page, such as our order form, the lock icon on the bottom of Web browsers such as Netscape Navigator and Microsoft Internet Explorer becomes locked, as opposed to un-locked, or open, when you are just ‘surfing’. To learn more about SSL, follow this link http://webopedia.internet.com/TERM/S/SSL.html. While we use SSL encryption to protect sensitive information online, we also do everything in our power to protect user-information off-line. All of our users’ information, not just the sensitive information mentioned above, is restricted in our offices. Only employees who need the information to perform a specific job (for example, our billing clerk or a customer service representative) are granted access to personally identifiable information. Our employees must use password-protected screen-savers when they leave their desk. When they return, they must re-enter their password to re-gain access to your information. Furthermore, ALL employees are kept up-to-date on our security and privacy practices. Every quarter, as well as any time new policies are added, our employees are notified and/or reminded about the importance we place on privacy, and what they can do to ensure our customers’ information is protected. If you have any questions about the security at our website, you can send an email from our contact page. If a user’s personally identifiable information changes (such as your zip code), or if a user no longer desires our service, we will endeavor to provide a way to correct, update or remove that user’s personal data provided to us. To change or update personal data, just contact our Customer Service Department via email from our contact page or by phone at 888-440-9878. Please include your complete name and address with all correspondents.